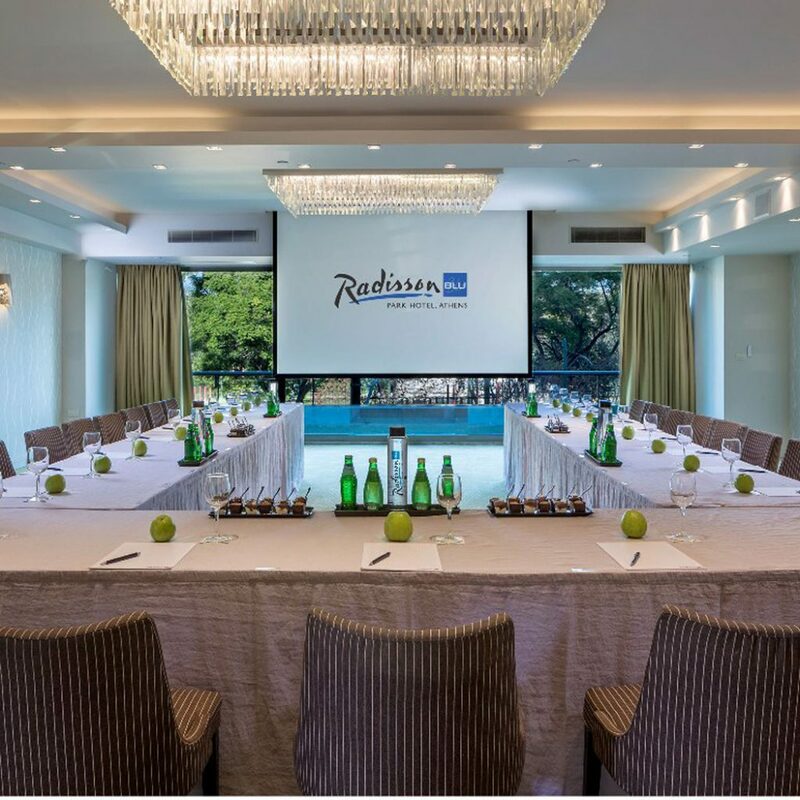 The deluxe Radisson Blu Park Hotel Athens was renovated in 2010 with an urban nature concept that brings the park into the…Park Hotel. 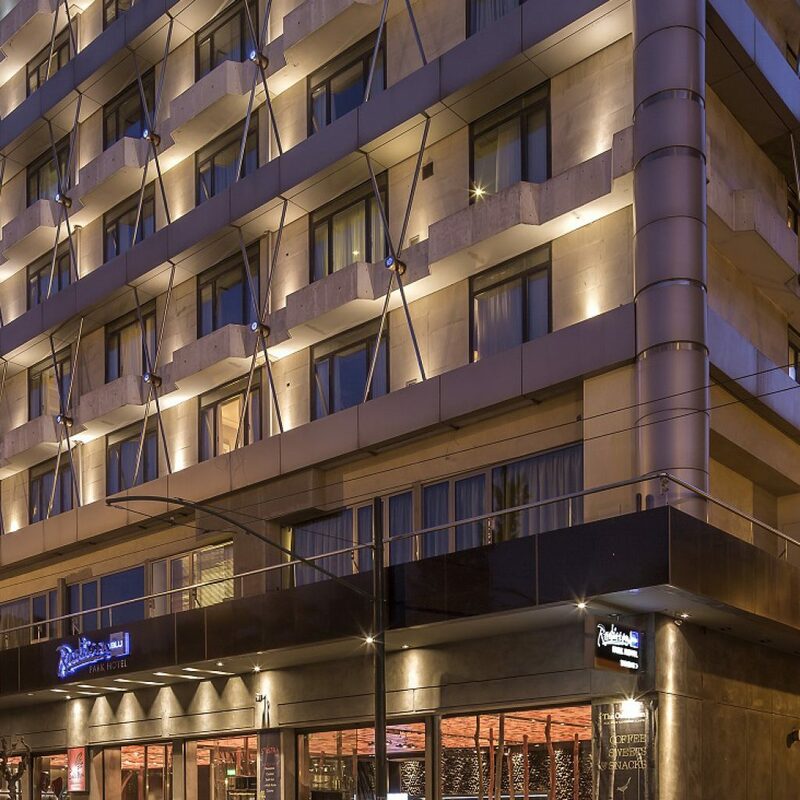 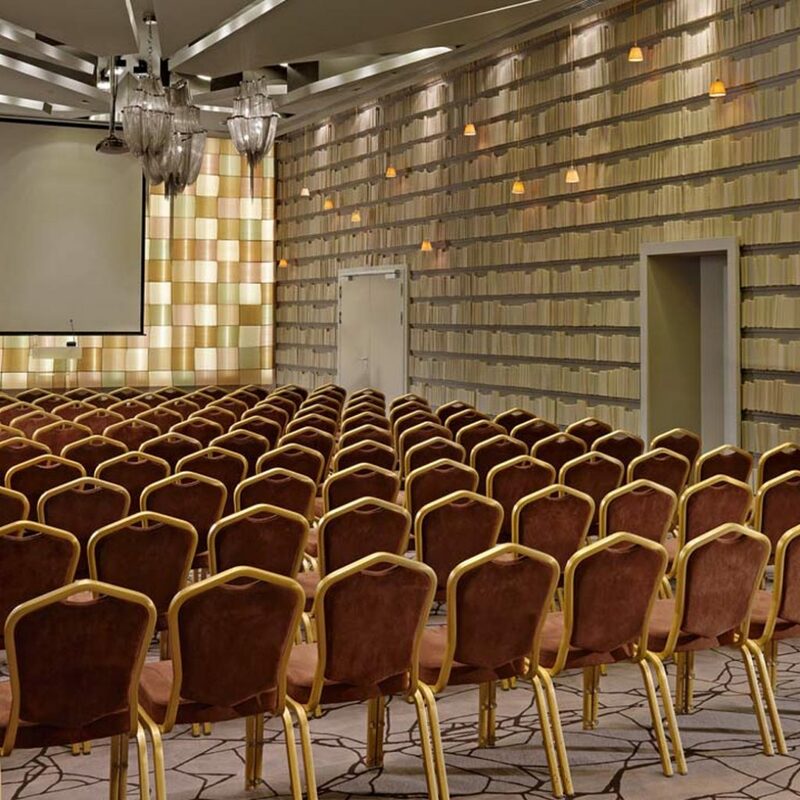 Centrally located, overlooking a park, next to the National Archaeological Museum and within walking distance from the business district and shopping center, it is the ideal choice for business and leisure and a great venue for meetings, conferences and seminars for up to 350 people. 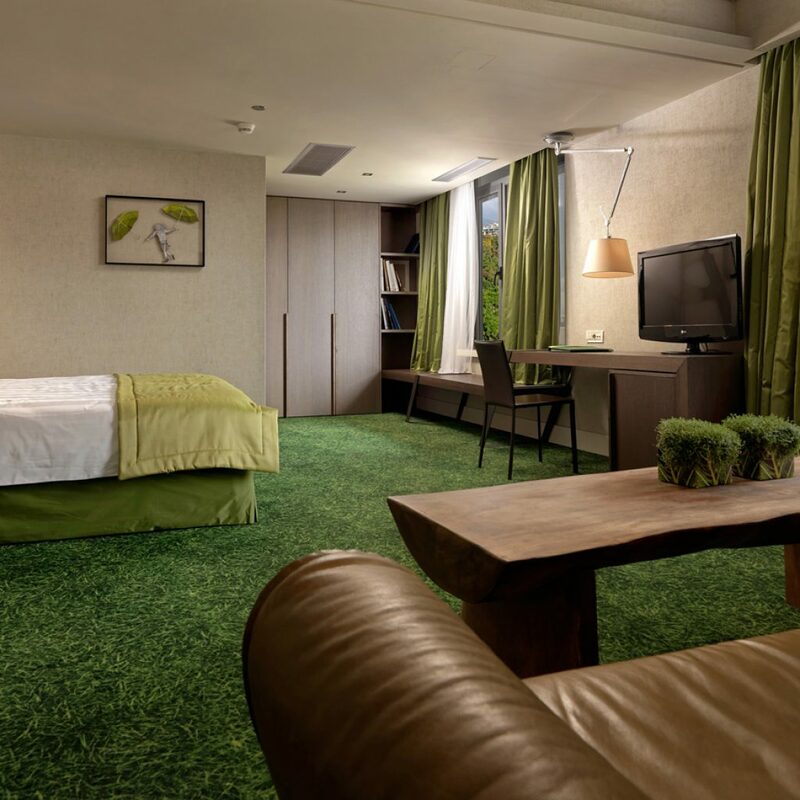 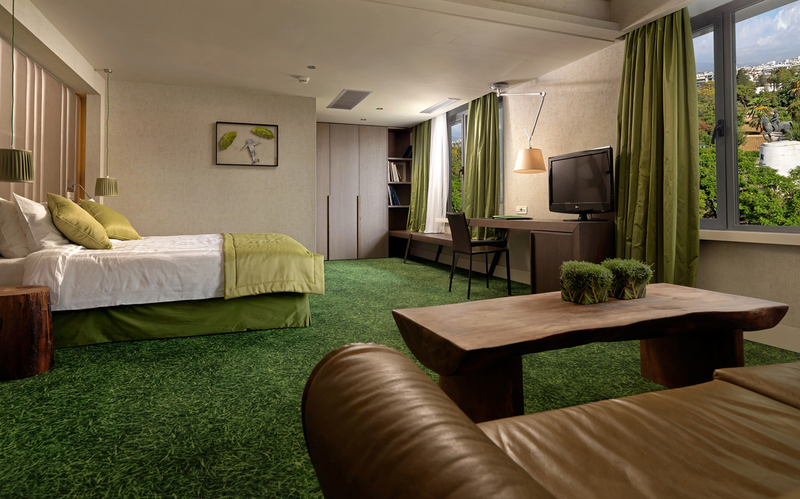 140 Spacious Superior & Standard deluxe rooms as well as 10 ultra modern Suites equipped with WiFi internet, TV, Safe, mini bar, slippers, bathrobes and more guarantee a quiet and relaxing stay. 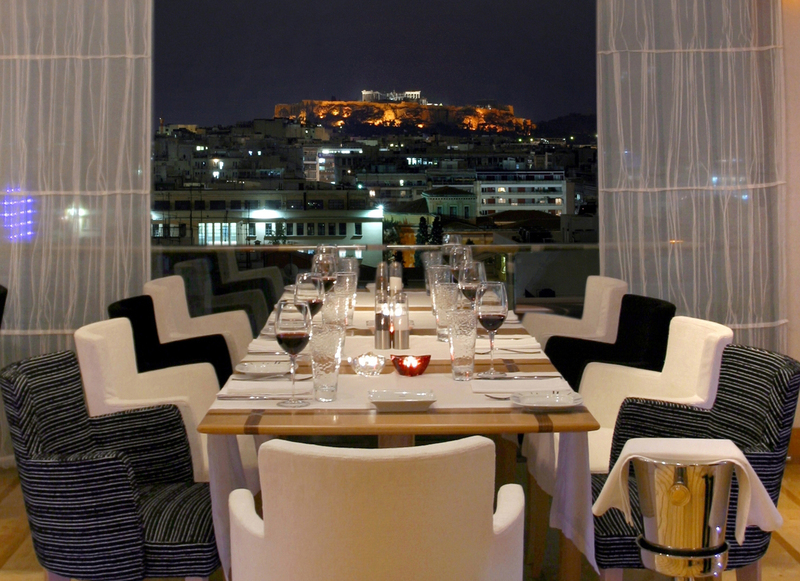 Majority of rooms have view to the park whereas some of the Superior rooms have a fabulous view of the Acropolis. 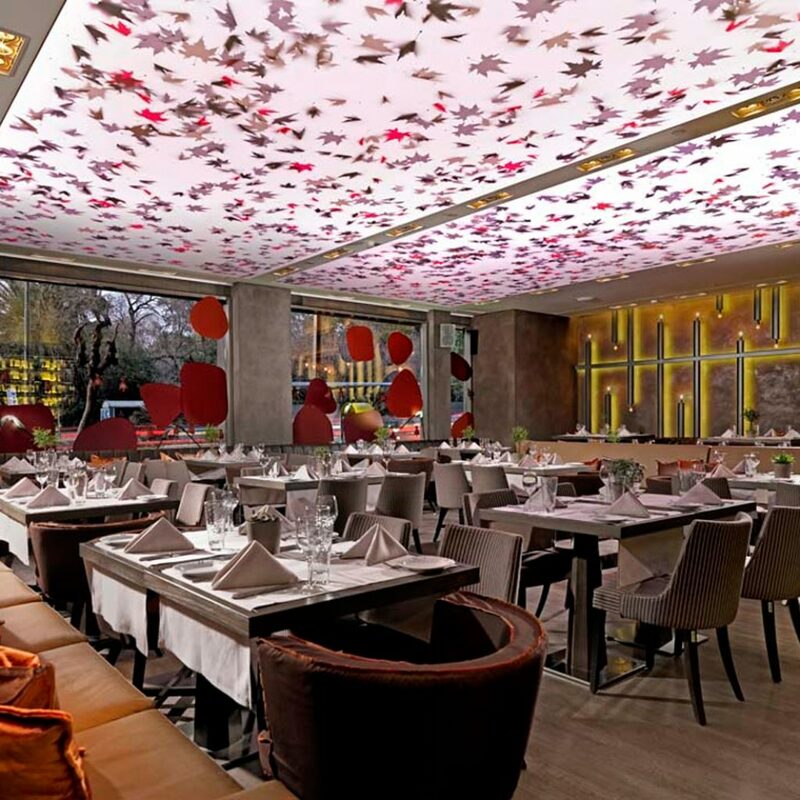 The new all day Italian restaurant/bar Gallo Nero with unique decor and excellent choice of Italian dishes and wines, is the ideal choice for luncheons and dinners. 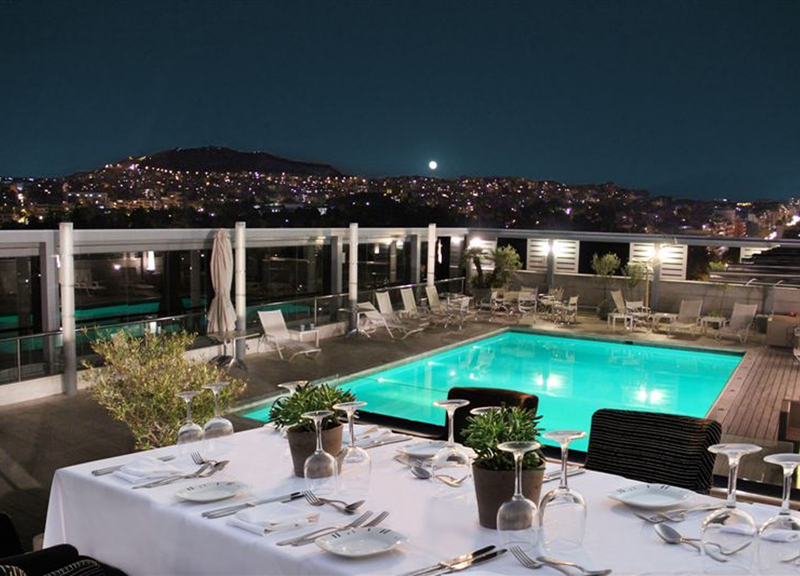 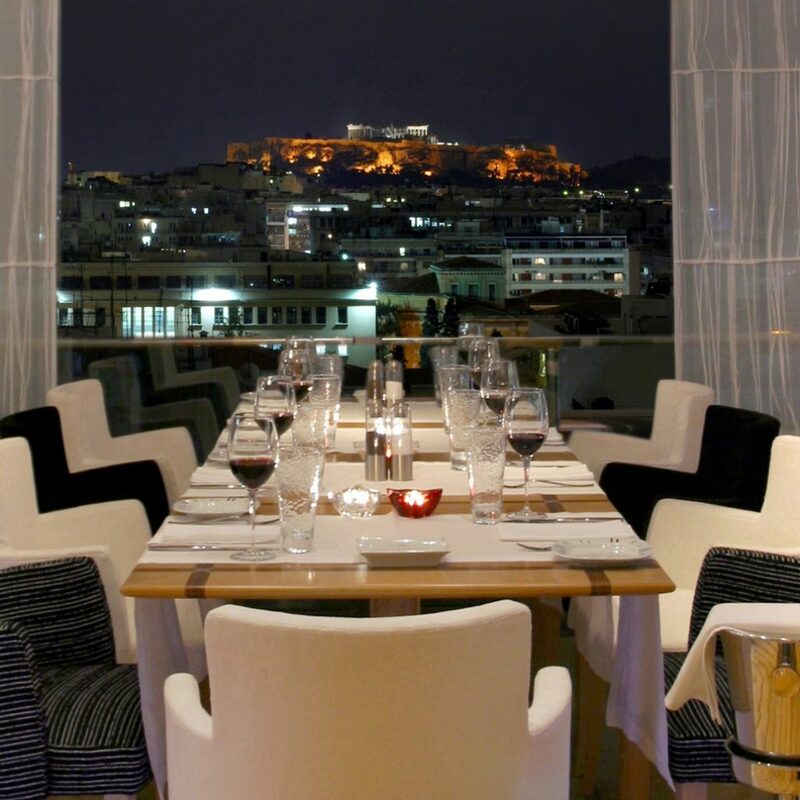 The multi awarded roof top restaurant / bar ST ASTRA East with Asian cuisine and sushi bar offers spectacular views of the Acropolis, Lycabettus Hill and Athens by night!! 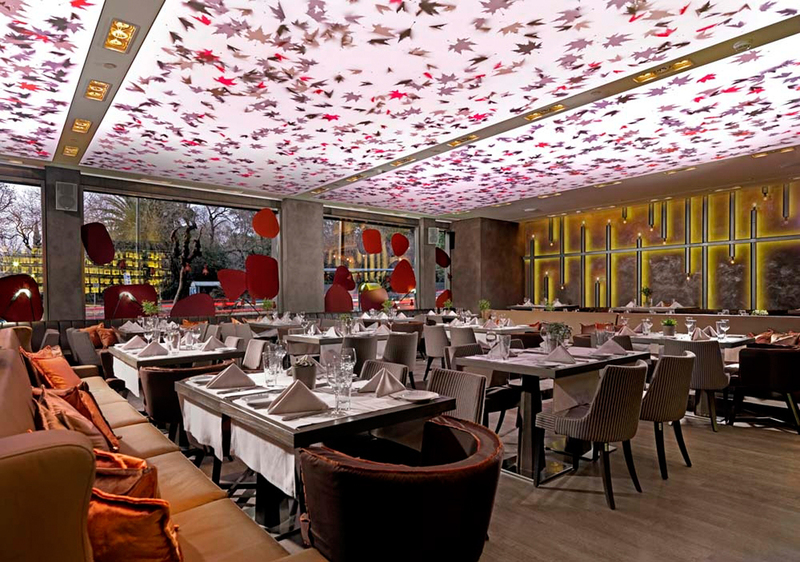 The new OAK room cafe, a popular meeting point of Athens, serves variety of coffees, snacks, sweets and drinks. 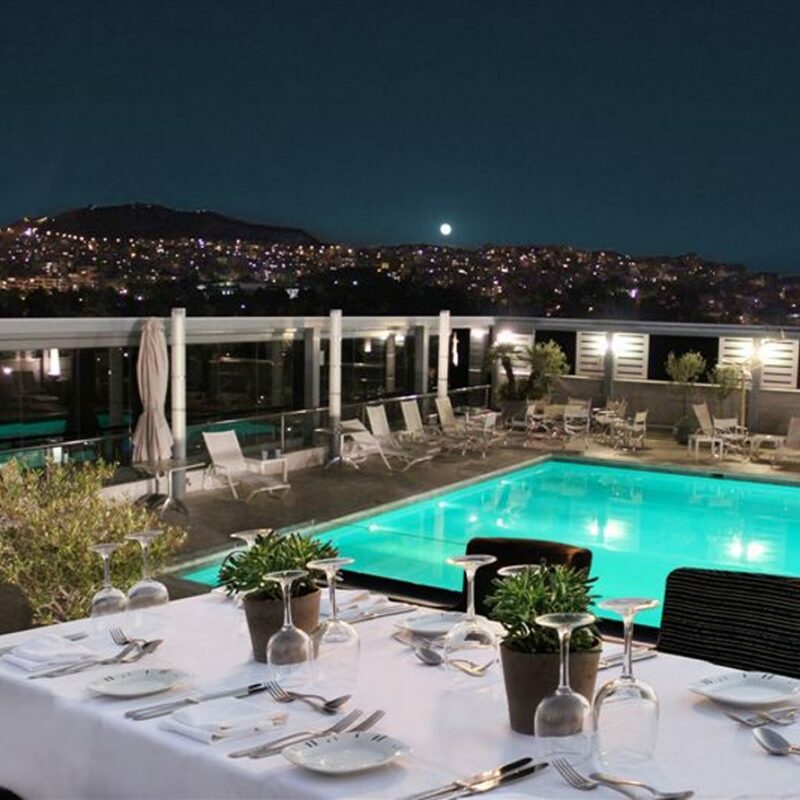 During the summer months one can enjoy a refreshing dive in the roof top swimming pool or relaxing dinner experience at the Roof Garden. 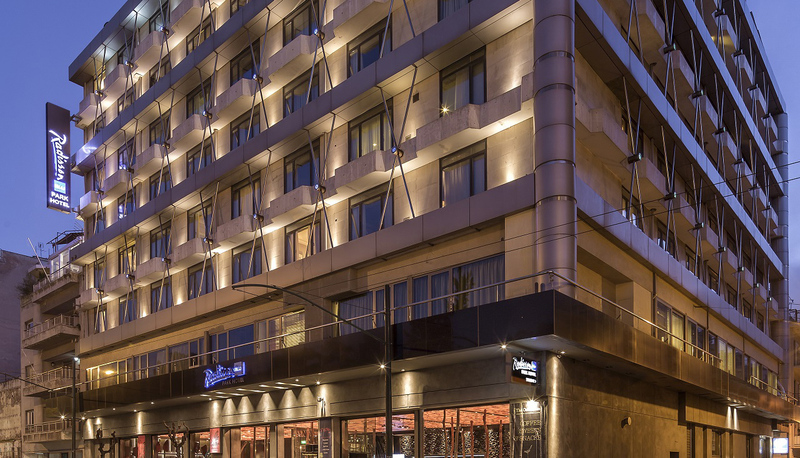 Other facilities include: fitness center, gift shop, business center, outside catering services, parking facilities for 300 cars. 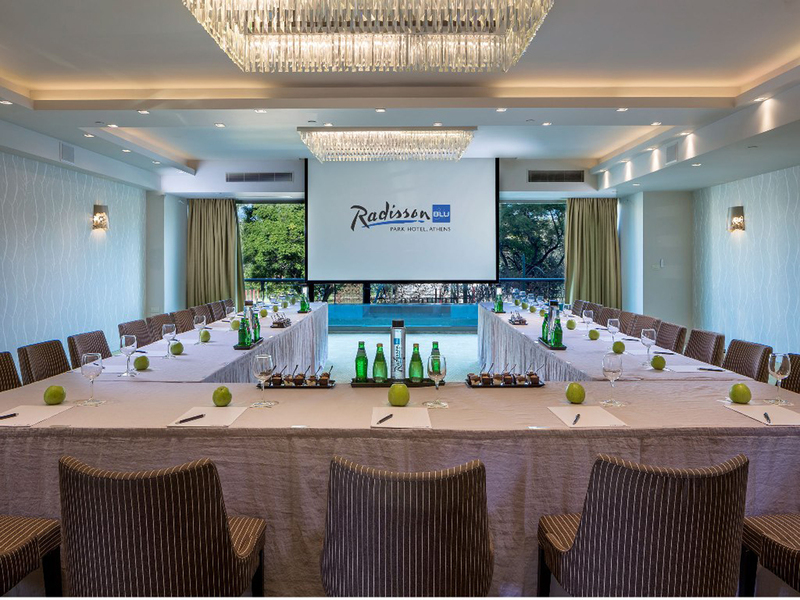 Radisson Blue Park Hotel offers stunning new meeting rooms, SILVER FOREST & ATLANTIS. 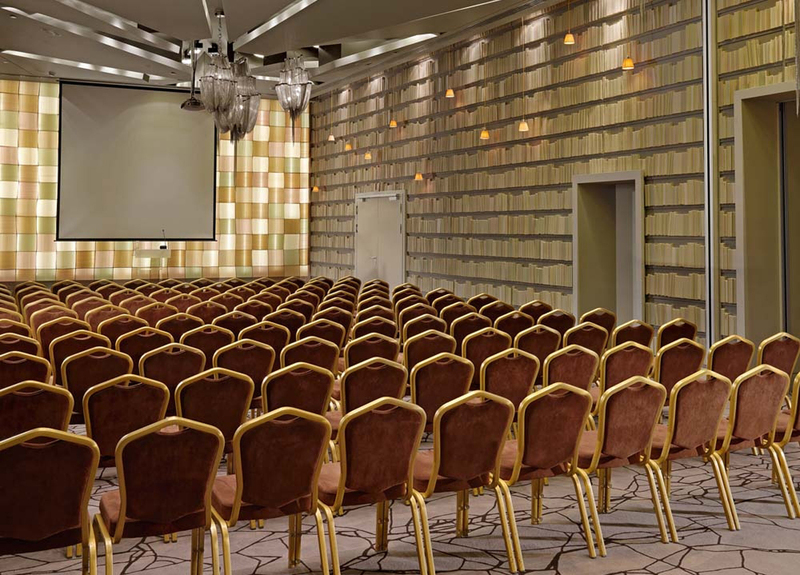 Modern, decorated with ”state-of-the-art” materials and fitted with the latest in audiovisual equipment for conferences, meetings, presentations, including social events, dinners and cocktails.